Memory Serves, Feel The Beat and Assist Ants are now on the phone/tablet app! Wait, I don't see them on my app? When I opened the app today, I had to update it. The new games appeared after the update. Maybe you have update, or uninstall and then reinstall the app to see them. Good to see these games on the app. Now if only Follow That Frog moves to the app too. One can hope. Glad to see MS and FTB is on the phone. Not sure about AA though - just not my cup of tea. 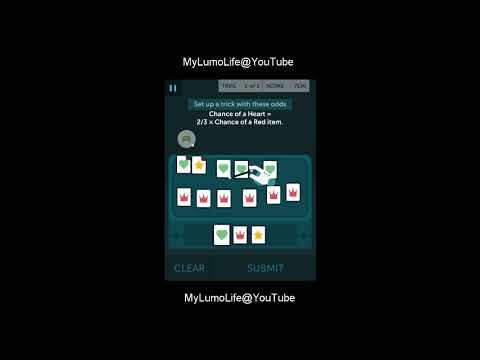 A full gameplay video of Magic Chance, a Lumosity math game. PRESS PLAY TO WATCH THE VIDEO. Level 12 Done. Window 13... Weird or not? Played on a PC and on the app. Different scores on each... 57400 on the PC and 55400 on my tablet. All times are GMT+8. This page was generated at 09:42 AM.